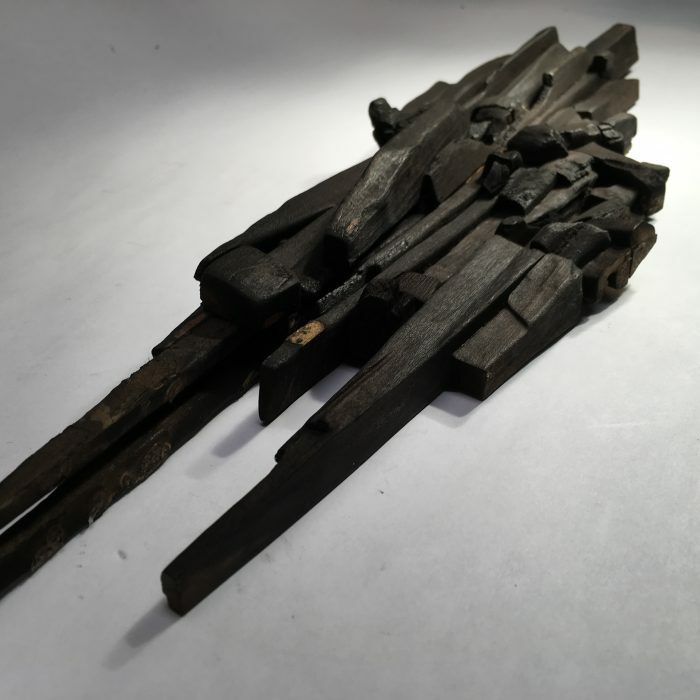 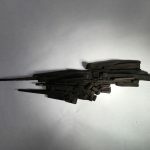 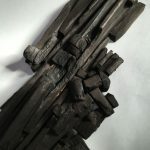 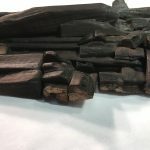 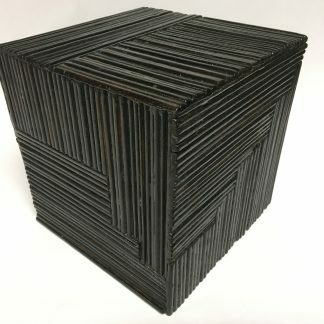 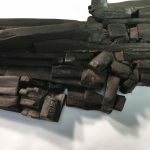 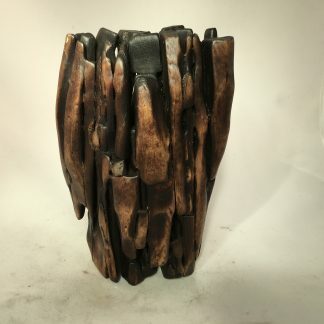 This large organic burnt wood piece is composed of burnt wood pieces glued together. At some point, several of the wooden pieces were removed from the piece. 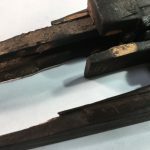 Some restoration work was done in these areas (see photo gallery).